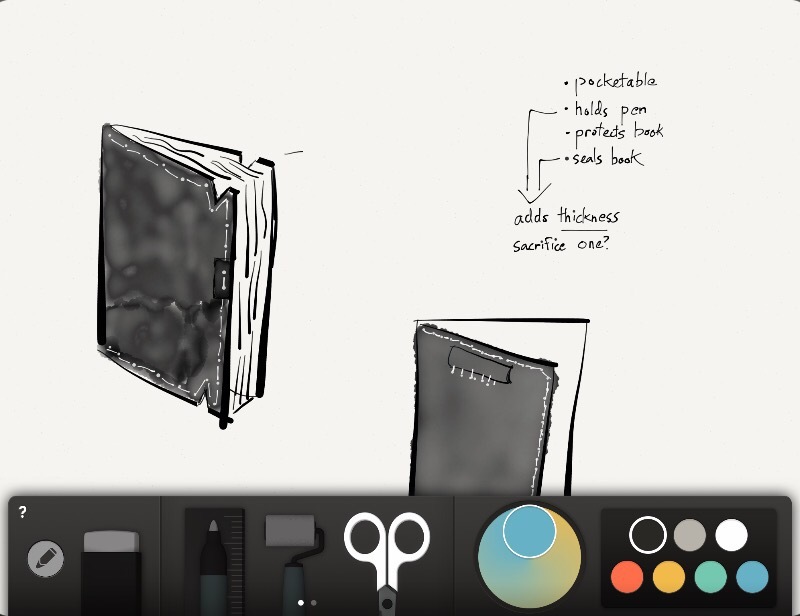 Paper by FiftyThree continues to be on the cutting edge of modern iPad app design. The incredible ink engine and drawing tools were already incredible, but these new shape, fill, and cutting tools really complete the package. It could easily be argued that “it’s about time” that these features made it to Paper, as they’re readily available in many other popular note-taking apps, like Penultimate and Noteshelf. However, no other app really delivers as great an experience as Fifty Three does with Paper. I haven’t had very long to play with the new tools, but they are exactly what I’ve always wanted out of this app. The Shape tool makes it easy to create quick, good-looking diagrams with smart shapes that I can move around at will. The fill tool helps me colour-code quick graphs or mock-ups. The cutting tool lets me move any element, as expected, but it also functions as a clone tool as well. That last feature make it so much easier and more fun to use Paper as a design sketchbook. It’s now dead simple for me to duplicate a base design and quickly create small variations, without having to re-draw everything each time. Finally, Paper has become an even better place to share work from. I don’t use the built-in Mix platform very much, but I’ll definitely use the new export features to create PDFs and PowerPoint files from my drawings. The only wish at this point would be the ability to embed or import pictures so that I can mark them up within Paper.